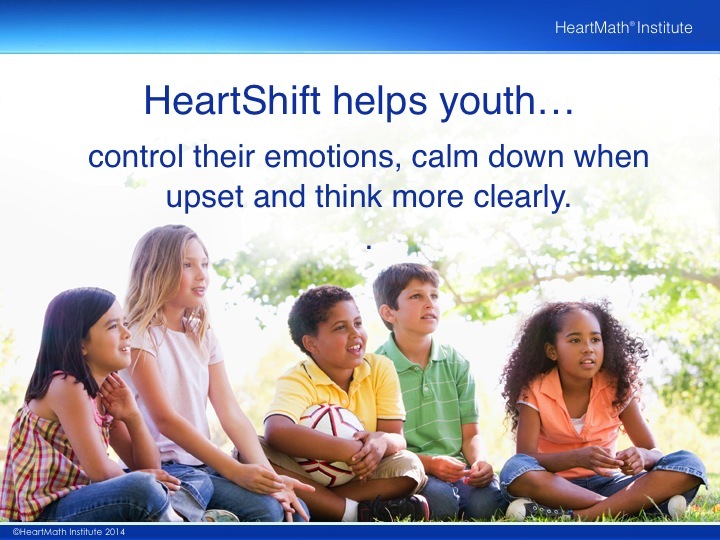 The HeartShift™ Tool teaches children how to feel better when they are upset and shift from a negative emotion to a positive one. Think of a time when you were upset or frustrated. Did you notice if there was tension in your shoulders? Did you have an uneasy stomach? Was your heart beating faster? 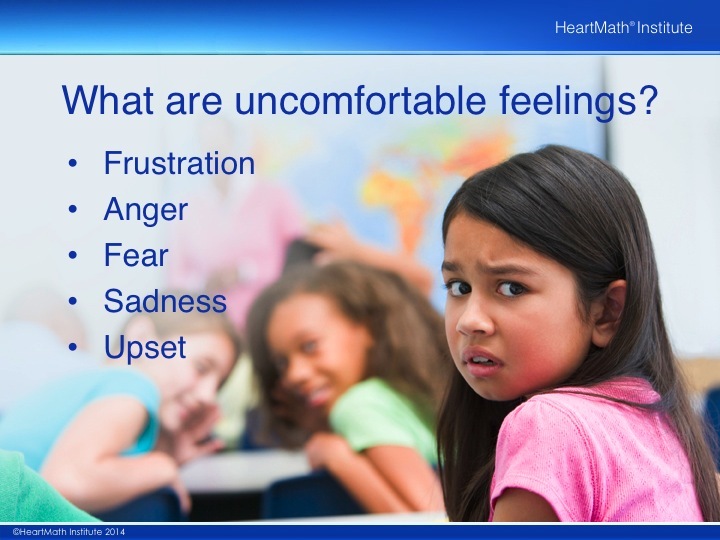 Take a moment and ask yourself, "How am I feeling?" Say out loud what you are feeling. 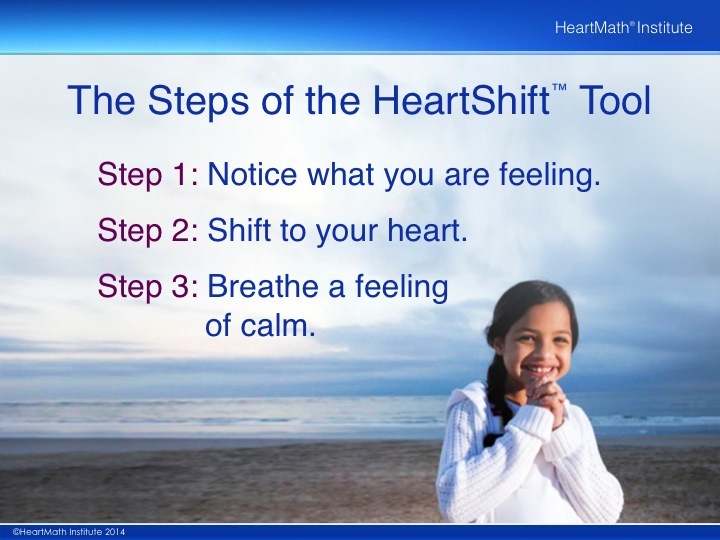 Put two fingers on your forehead and then move them from your head to your heart area while saying, "Focus on the area of my heart." Take a moment and keep your focus there for practice. 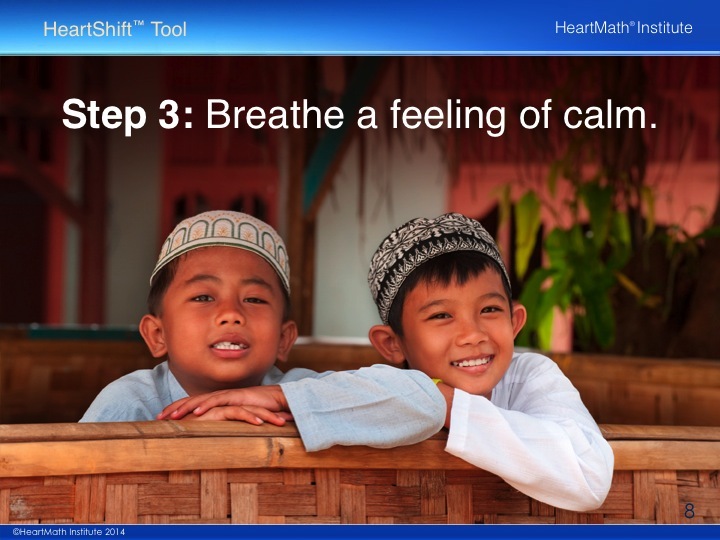 Breathe slowly and easily. 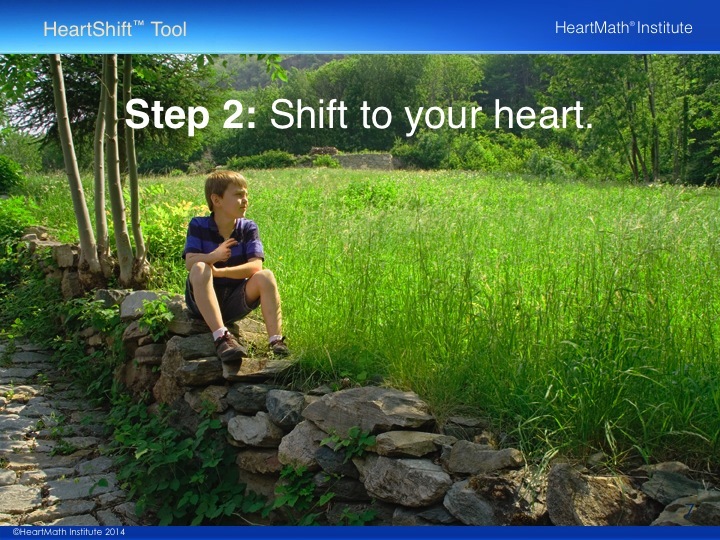 Imagine the air flowing in and out of your heart area. Take your time breathing in and out. Do this three to five times. 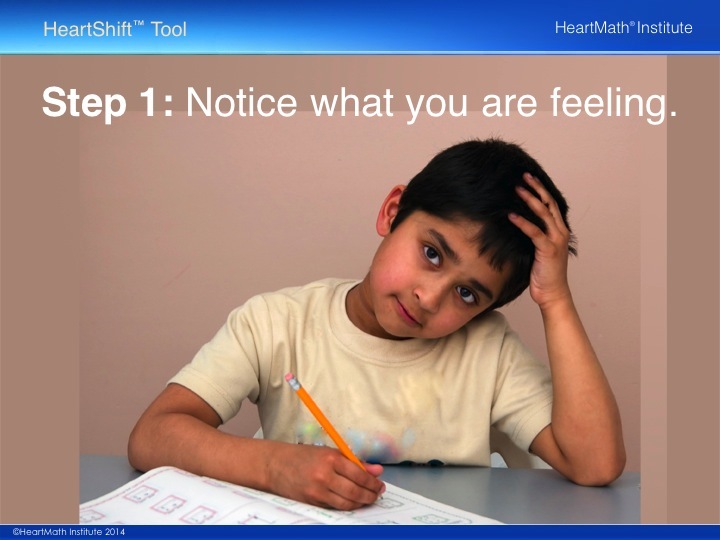 It is important to identify what you are feeling, whether you are upset, mad or sad. Remember, you have a choice to do whatever you want with your emotions! 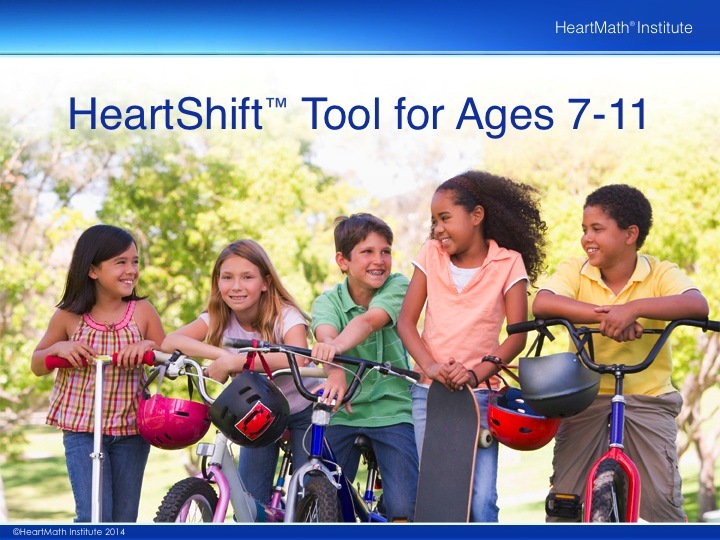 Click here for more HeartMath’s Free Resources for Children Ages 7 to 11.